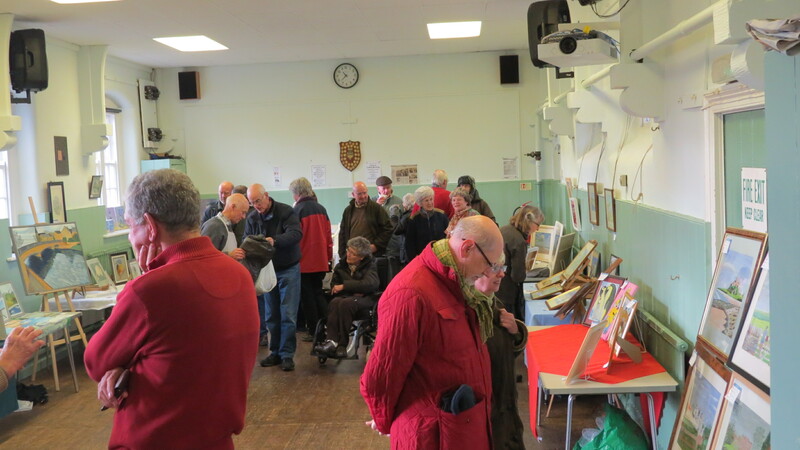 There was a very encouraging turnout for our the Exhibition on the Saturday morning of 21st November. There were over 100 items of art on display and the home made cakes and teas and coffees were much appreciated. 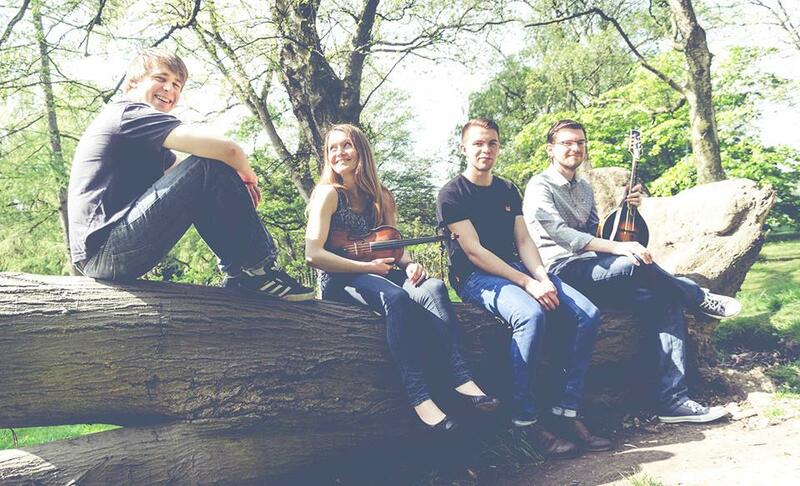 was attended by over 60 people who were thoroughly entertained by this engaging quartet of youngsters from Manchester. 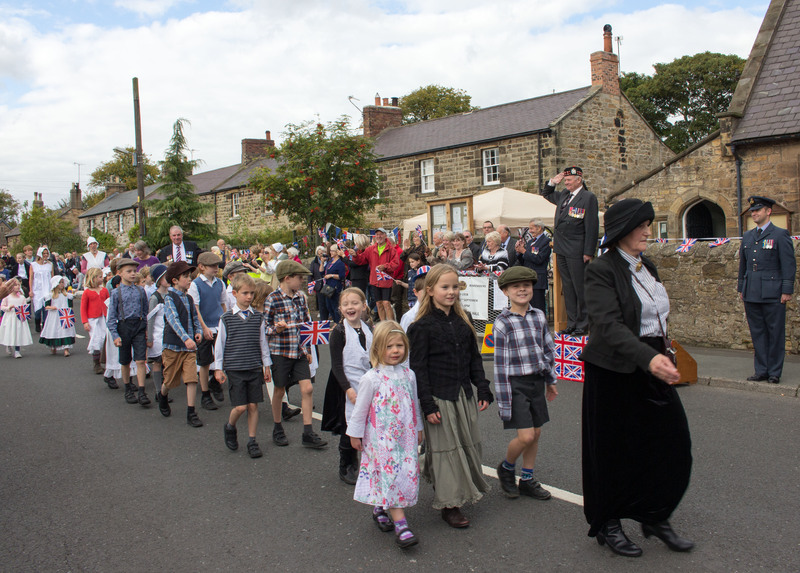 Lesbury Remembers 1914-1918 on 26th September was an outstanding success due to the willing involvement of a huge number of volunteer helpers. The Hall committee is very grateful to all who contributed and took part. Clic k here for more details and lots of photos. It would be good to have some comments. 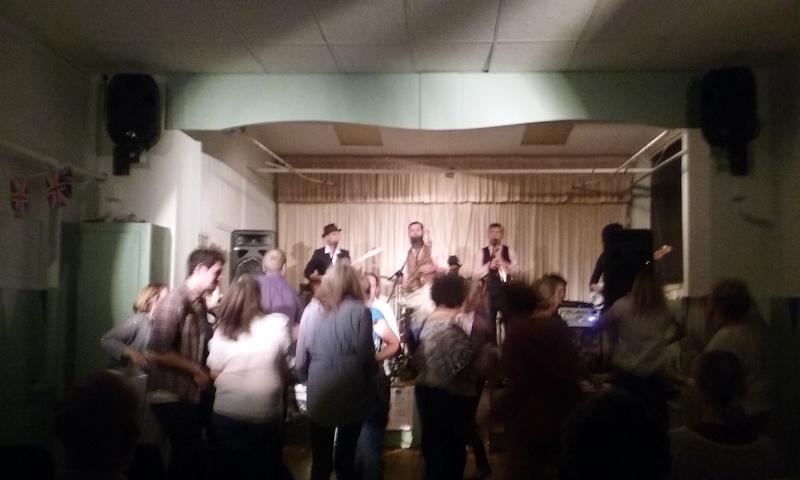 A sell-out crowd at Lesbury Village Hall on Saturday 19th Sept were soon on their feet led by Alnmouth’s Robin and Christine Winder as the Newcastle-based world music phenomenon which is the Baghdaddies began to wind up the tempo and crank up the excitement. 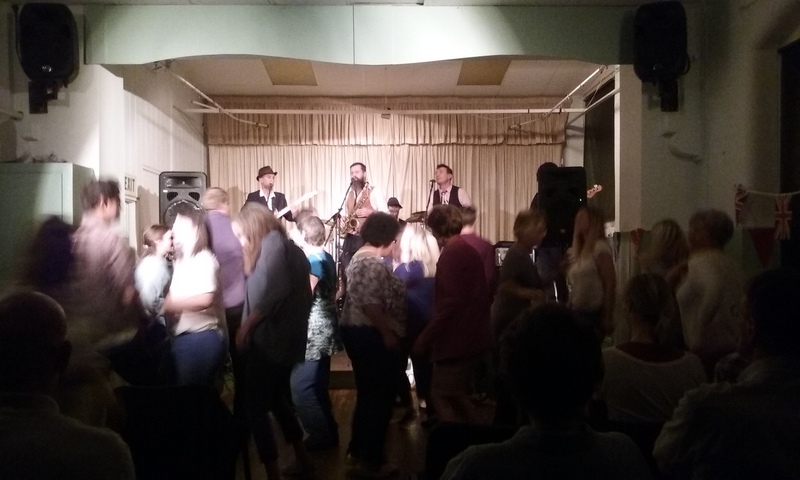 This was the first of a series of Highlights promoted events at the Hall which was judged a great success. COMEDY NIGHT Saturday 8th August 2015.” From Here to Absurdity”. 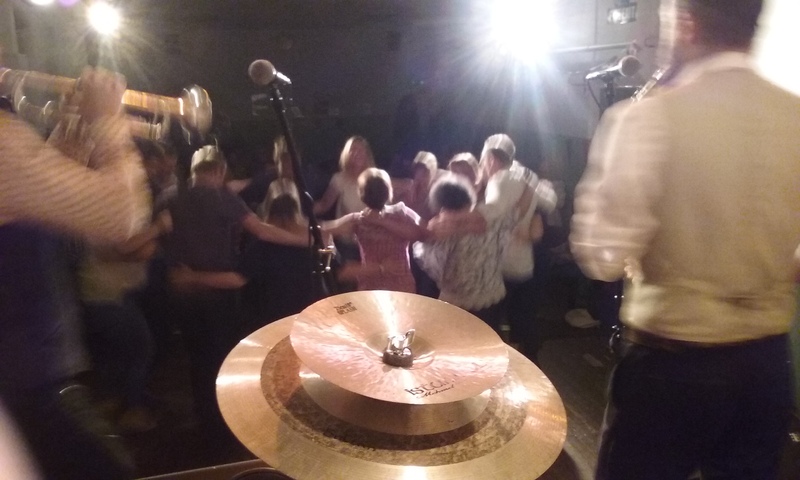 JAZZ NIGHT Saturday 4th July 2015 acclaimed Jazz Duo Ian Millar (saxaphone) and Dominic Spencer (piano) performed a varied programme of original compositions and jazz standards and provided a relaxed evening of top class musical entertainment.